Ever fancied giving rugby a try but been worried about taking the plunge? Fancy a new challenge? Join us now! We accept New Players every week at training, its specifically designed for those people who want to try something new but have never played rugby before. It's never too late, we accept players from 18+ with no upper limit and of all fitness levels and abilities. Interested? Then hit the button below and get in touch, or visit facebook.com/TheLeedsHunters and join our event page. Do I need previous experience of playing rugby? No! We are an inclusive team and that includes being inclusive of all levels of ability. We would welcome new players who have zero experience of playing rugby through to those that already play at a high level. We train twice a week (Wednesday evenings & Saturday mornings). We don't have a minimum attendance requirement but clearly those who train more regularly will better develop as a player and find themselves in a better position when it comes to selection for fixtures. What is an inclusive team? For us being inclusive means breaking down some barriers that exist for some people who ordinarily might not get involved in rugby for whatever the reason might be. Whilst our players are predominantly LGTB+ we also have straight players who are just as much part of the team. Sexual orientation is not a barrier - we welcome anyone regardless of how they might identify. 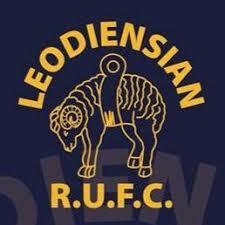 Our home ground and training location is the Leodensian RUFC in north Leeds. Click below for our address. How will I know if rugby is right for me? We are always on the look our for new members of the team. Get in contact with us to find out more about joining us for training. Your first months membership is free and after that you are under no obligation to continue. However we are sure that you'll love being a part of The Leeds Hunters RUFC family! I want to join you for training, what should I bring? If you've decided you want to get involved then drop us a message and we can let you know more information. The only requirement for training is a pair of boots and a bucket load of enthusiasm!